Many people avoid travel because they feel that they’re too busy or worse, it’s too expensive. Traveling can be an eye-opening experience, allowing you to absorb new cultures and experience new ways of life. Time away from work with your family or loved ones creates a great opportunity to bond and learn new things together! Stay up-to-date on which airlines fly where. To stay competitive, budget airlines are constantly expanding their features and their reach. In recent years, Southwest Airlines has started running international flights to Mexico and the Caribbean. Iceland’s WOW airlines recently announced the launch of transatlantic flights for less than $200. Uncover “hidden city ticketing.” Skiplagged is an online flight agent like no other. In addition to the typical flight search output, their search algorithm will include flights that have a layover in your destination city. Instead of catching the connecting flight, you simply stay in your intended city. This tactic will save you a bundle but limits how much you pack, as you cannot check a bag. Never lose out on the lowest airfare. If your fare ever drops below the price that you paid for it, many airlines (American, Jetblue, etc.) will refund you the difference in credits or travel vouchers.Want to take a more hands-off approach to far comparison? Use a tool like Yapta, a tracking agent that will send you a notification once the price drops. When it comes to packing, think quality over quantity to avoid checked bag fees. Pack versatile clothing so you can re-wear. If there are some things you simply can’t live without, try these packing tips to help you squeeze in more. If you love souvenirs, pack extra light. Bring fewer clothes than you need and do laundry on the trip to save room for keepsakes. Domestically, many museums, galleries and other popular public attractions have free days. Search online to see what your destination city has to offer. The same rules apply internationally, but will typically fall on or around national holidays. Check deal sites like Groupon for one-of-a-kind activities at your destination. Try a New York City cupcake tour or a comedy show in Los Angeles for a fraction of the cost without shortchanging the fun! Free walking tours are available in most major cities through a variety of vendors. These tour guides work solely for tips, so you know they are giving it their all; you’ll get a quality tale of the city, for a bargain. If you prefer to guide yourself, find suggested stops online or through a free app like Trip Advisor’s city guides. There are dozens of free, self-guided tours available based on your interest in each city (e.g. Rome in 3 days, food tour of Budapest, street art walks of Berlin, etc.). Many cities host free or discounted art programs, especially during warmer months when outdoor event space is ample. Visit the free outdoor cinemas in Sydney or take free dance lessons in Chicago’s Millennium Park. Check government sites for the most recent event information. Many state parks in the U.S. do not charge admission. National treasures like the Grand Canyon, Rocky Mountains and Yosemite National Park can only be seen after paying a park admission but are free on several national holidays. If you are a student, senior citizen or member of the military, bring an I.D. when purchasing tickets; oftentimes you’re eligible for a discount.Not a member of one of these groups? Find a travel-specific group that provides discounts to members. The American Automotive Association (AAA) is one example. Depending on the size of your destination and the quality of public transportation, consider staying in a suburb. Hotel prices tend to drop significantly outside city limits. If you don’t mind the extra journey, you can save loads! Experience a different type of lodging with Airbnb. Many listings are significantly less than local hotels and have the added bonuses of kitchens, yards and more. With various accommodation styles, you may even get a host who can give you a more personalized perspective of the city and help you find places you wouldn’t have found otherwise. Always ask for upgrade options, especially when traveling during the low season. Hotels are always looking for ways to wow you, so you may end up with a suite for the cost of a double room. It never hurts to ask! Live like a local and stay for free through one of many hospitality networks. Sites like Couchsurfing, Servas and Be Welcome help you connect with hosts that are willing to let you stay with them free of charge. Depending on the host, you may end up with your own personal guide to the city! Food is another great, Groupon-friendly activity. The majority of their food deals are for local small businesses, so you know you’re getting the true experience of your destinations and are skipping the chain restaurants. Hitting the road? Make sure you stop at the grocery store first. An entire box of granola bars can cost $3 at the grocery store, whereas a granola bar sold individually at a gas station can cost almost the same. If there is a local cuisine you are dying to try but are worried it will break the bank, plan ahead. Limit how much you spend the day before to help balance out your indulgence. Research restaurants ahead of time to locate daily specials or discount meal times. For example, many of the popular buffets in Las Vegas will increase their price on heavy traffic days like Saturday and Sunday. Come Monday, the buffet is more than $10 off. Bring your own water bottle. Reusable water bottles can save you a lot, especially in warmer climates. However, tap water is not always safe to drink — read about your destination before you go, as a reusable water bottle may be impractical. Take advantage of complimentary breakfasts at your hotel. Fill up on breakfast or bring a piece of fruit with you as a snack so you can have a lighter lunch and save. If you plan on staying in your destination a while, make a run to the grocery store. Make sandwiches or grab non-perishable snacks to help keep your restaurant spending to a minimum. You’re a self-proclaimed “foodie,” and dining out is your favorite part of traveling. If you simply can’t cut your dining budget, consider a frugal destination so you don’t have to cut any corners. Depending on your destination, your food budget for one meal in a massive metropolis could be an entire day’s budget in a warm and friendly beach town. Priceline’s “Name Your Own Price” feature allows you to focus on getting a great deal if you’re flexible with where you stay and how you get there. Hotels and airlines don’t want to end up with empty spots, so they will drop the price significantly to eliminate their inventory. Priceline effectively “negotiates” the best scenario to match your budget. However, the negotiation includes time of day for flights and location of the hotel. You can narrow the search down to a certain window, but times within that window are not guaranteed. Skip planning all together with Pack Up and Go. This travel-agency-like service will plan an entire 3-day weekend getaway for you based solely on the budget you choose. The budget covers transportation, lodging and a suggested itinerary based on your preferences. The best part? You don’t know your destination until the day of. 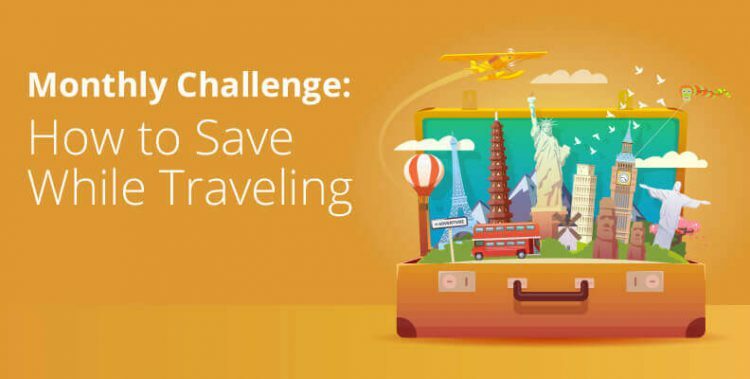 If you travel frequently, consider signing up for HomeExchange. This network of over 65,000 homes in 150 countries is available to you anytime you need to travel. Membership costs $119 annually for unlimited swaps. If you’re willing to wait till the last moment to decide, there are many last-minute options for you that can help you save. With the same “better to have vacancies filled for cheap than not at all” philosophy of Priceline, the Hotel Tonight app hosts hundreds of last minute hotel deals. In some of the best cases, customers got up to 75% off. LastMinute.com has a similar model for flights. Take the road less traveled. Popular tourist destinations are known for capitalizing on tourists through exaggerated pricing at hotels and restaurants. Depending on the hidden gem you choose, you may find that you have to do much of the exploration yourself. Ditch that guidebook and take a risk!